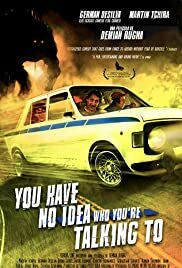 Juan and Romano are two marginals who plan the death of the head of the gypsy mafia to recover a car, without even thinking about the consequences ... in the plan! A sinister healer who will curse several people dragging them to live creepy experiences along their own stories. When strange events occur in a neighborhood in Buenos Aires, a doctor specializing in the paranormal, her colleague, and an ex-police officer investigate further. The results are horrifying and the evil must be stopped before it spreads.